We’re having a rather cold spell of winter these days, and blankets and hot beverages are the norm! However, the days are all set to start getting warmer, and one indication of this is the festival of Makar Sankranti! This festival marks the movement of the sun into Capricorn or Makara, and signals the arrival of warmer days. 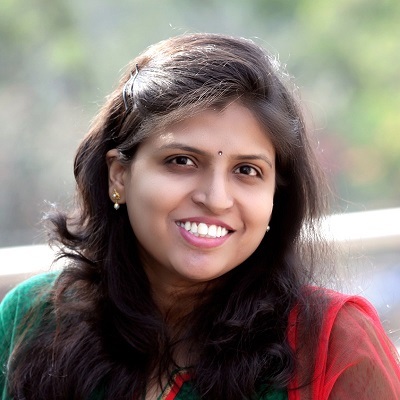 While new clothes and homemade sweets are an essential part of Makar Sankranti, there is another thing that differentiates this from other Indian festivals – kites! In many parts of India, kite flying is a major event for this special festival, and there are competitions held. 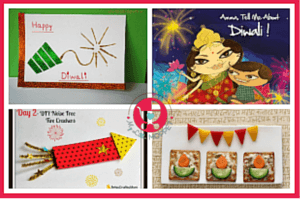 Makar Sankranti is also just a few days ahead of International Kite Day, making this the perfect opportunity to indulge in some easy kite crafts for kids!  This is a lovely little craft that even the little ones can make with just a little help. I Heart Crafty Things has detailed instructions on folding the cupcake liners and sticking them onto the background. You can use any colors of liners – let the kids pick their favorites! 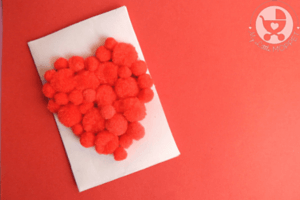 Who knew that you could create such a lovely craft with colored tissue paper? 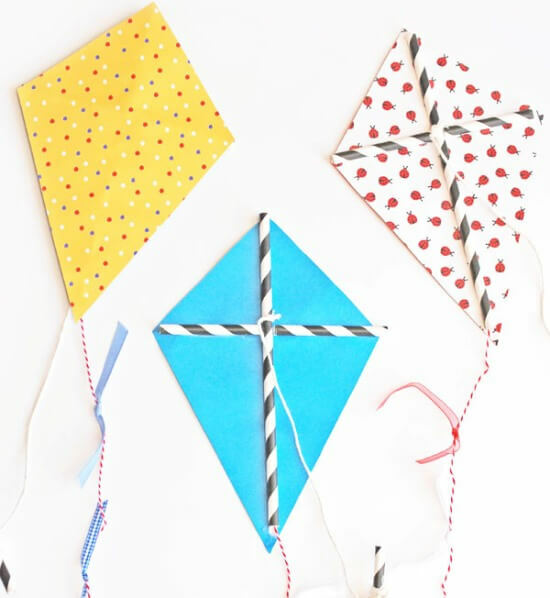 This project from Kinder Craze is easy enough for all ages – siblings can each make their own kite! 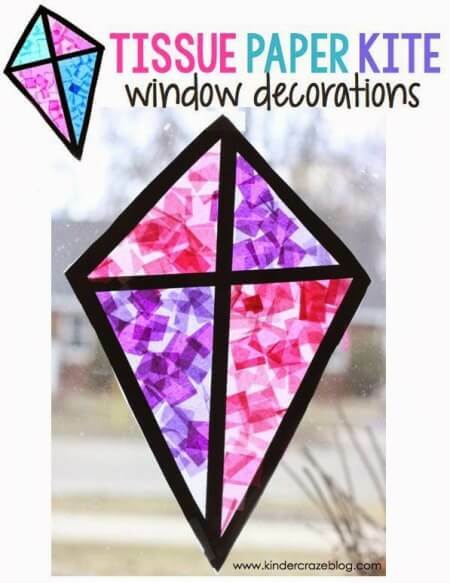 Just stick the paper within a black outline on a window that gets lots of sunlight and enjoy the effect it creates! Got some old pasta leftover? 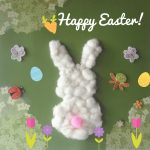 Then this pasta noodle craft from Crafty Morning is what you should be making now! All you need is leftover pasta and paints and you can create kites with cute bows in any color of your choice! If you don’t have spaghetti on hand, you can also try using straws instead. 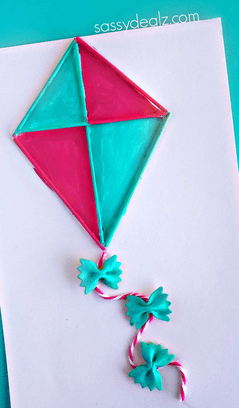 If your little one loves painting with watercolors, then this kite craft from Little Family Fun should be easy to make! 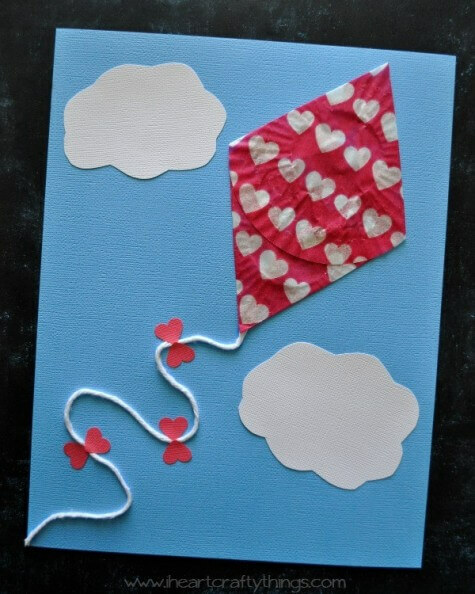 Let your little artist do his bit by filling up paper with colors and then you can cut out a kite shape and bow shapes. With a little string, you have a custom kite ready! Here’s a great idea to make a kite that flies – a brown bag kite! 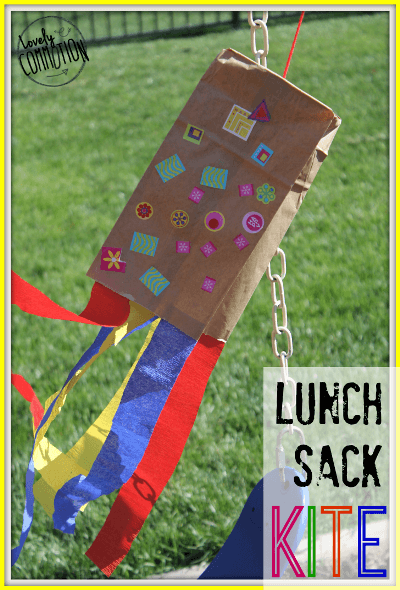 Don’t throw away those lunch-sack style bags, Lovely Commotion shows us how to turn them into fun, colorful kites. You can customize them anyway you like and then have fun playing with them! 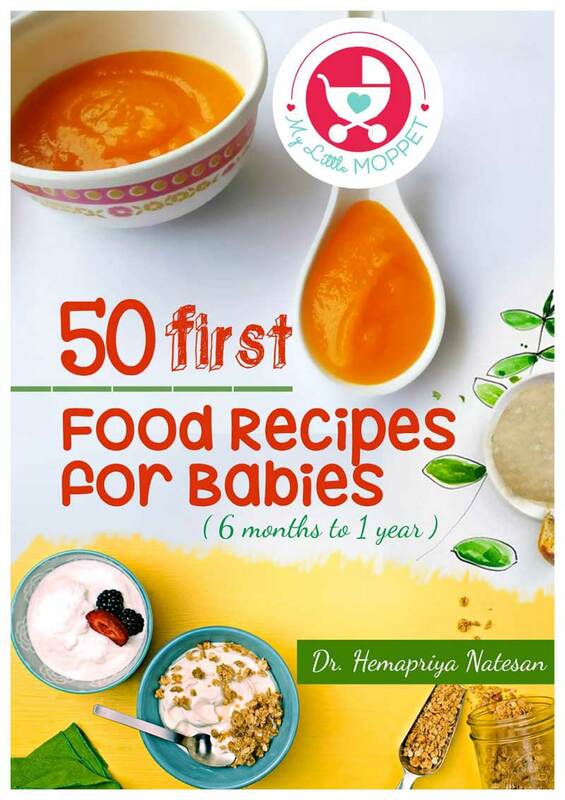 Great for primary school kids. 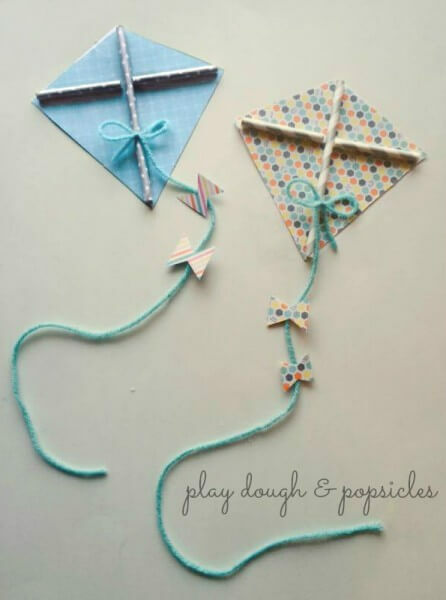 Well, it’s not spring yet, but that doesn’t have to stop you from making this lovely kite craft from Play dough and Popsicles! 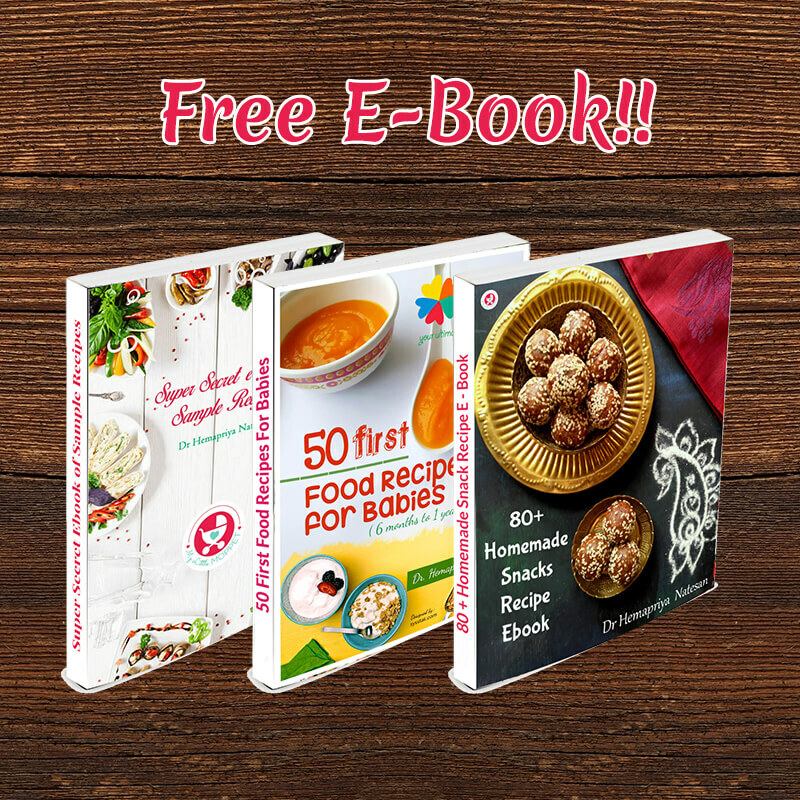 All you need are paper straws and card stock, and you’re all set! Make a few in different patterns and hang or stick them on the door or wall of your child’s room for a lovely seasonal decor. 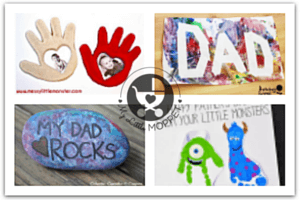 This easy craft from One Creative Mommy is a great idea for kids parties or play dates. 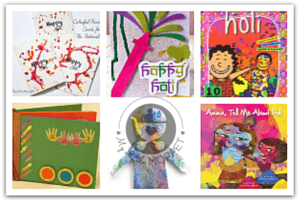 Hand the kids an assortment of patterned and colored card stock and other basic craft supplies and wait for them to come up with their own creations! 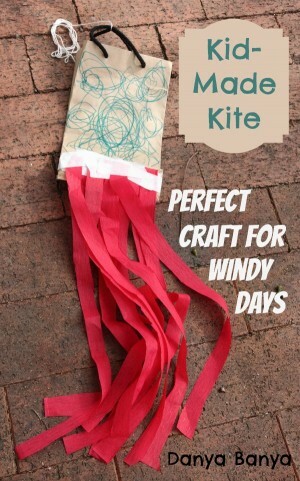 There’s a chill in the air these days and on a day you notice a wind too, think of it as the perfect opportunity to make this kite craft from I Can Teach My Child! 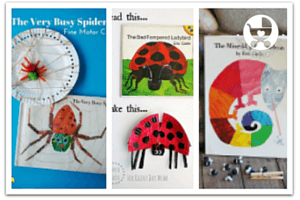 The craft is a straight forward one, and while preschoolers and older kids can help to make it, even toddlers can enjoy watching it flutter in the breeze! 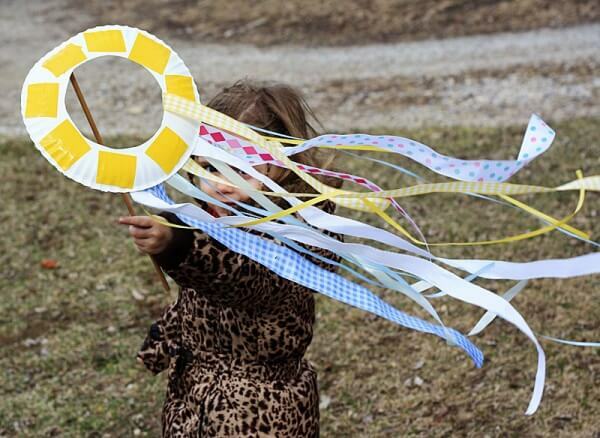 Paper plates aren’t generally used to make kites, but this craft from Kix Cereal is different! You get detained instructions on making the kite, and it also has a dowel for a more sturdy grip for little kids! To get the kite to fly higher on a windy day, you can also try attaching some string instead. This kite looks rather different, but that doesn’t mean it isn’t effective! 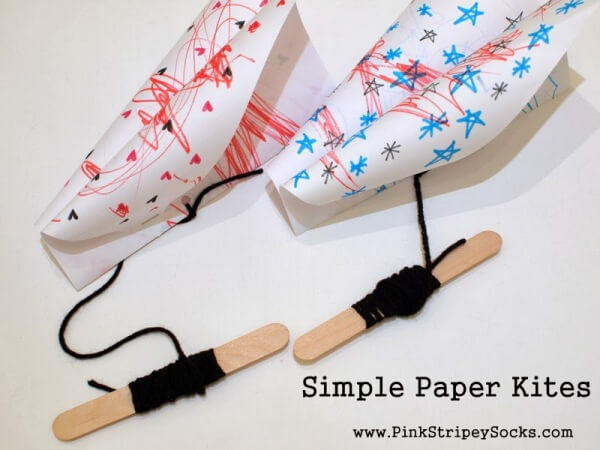 Pink Stripey Socks gives us full instructions to make this cute kite, complete with string on a Popsicle stick! The best part – the kites really work! You might need to work a little to get them up, but the effort is worth it! 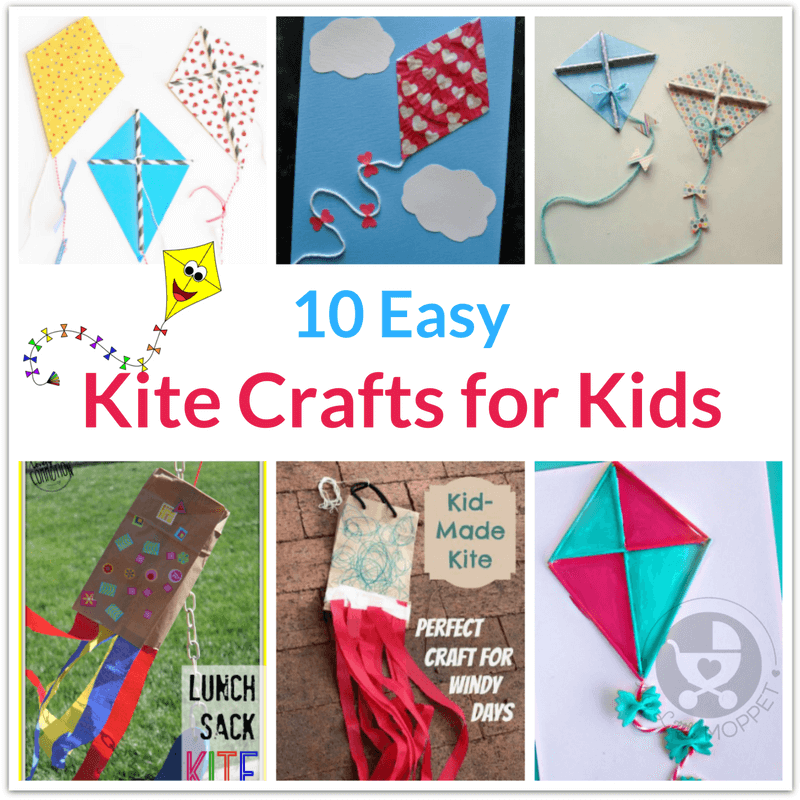 These kite crafts for kids are really easy to make, and all you need are basic craft supplies. So get together on a cold afternoon, and enjoy with the family!